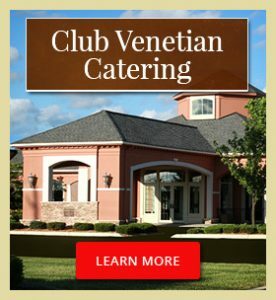 Thank you English Gardens for choosing Club Venetian. We hope you call or stop by and see if we are the perfect facility for your next training session or event. Contact us for a tour. Wedding planning doesn’t have to be stressful. In fact, it can be a pleasant experience that adds to the memories you make leading up to your big day! All it takes is choosing the right venue to provide the services you need to create a spectacular celebration. 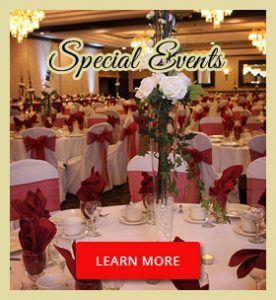 Club Venetian is ready to guide you as you organize the perfect wedding reception. Club Venetian has several banquet rooms of varying size and capacity. Our Clubroom can accommodate up to 40 people for a more intimate experience. The Venetian room hosts up to 110, so you can extend your guest list while staying within budget. We also offer several larger rooms. The Lido and Rialto rooms can accommodate up to 250 each for a banquet style event. Or you can book both as one combined party space. The two rooms together provide 7,150 square feet of space and can host up to 475 guests. Club Venetian serves incredibly delicious cuisine that’s also diverse. You can choose a traditional dinner menu or do something different. We prepare party trays that range from cheese and fresh fruit to artichoke dip, chicken wings, or spring rolls. There are menus for breakfasts, luncheons, desserts, and hors d’oeuvres along with beverages. Choose a food selection that best matches the time and tone of your wedding reception. Bask in the beauty of our newly remodeled facility. The experience is pleasing to the eye from the moment your guests arrive. Our drive-thru portico adds a hint of sophistication along with gorgeous interior décor and features like granite flooring and a three-story atrium. 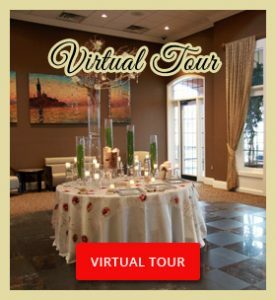 Call us today to plan a visit or to learn more about creating the wedding reception of your dreams at Club Venetian! Are you planning a party this year? There are many nuances to putting together the perfect event. 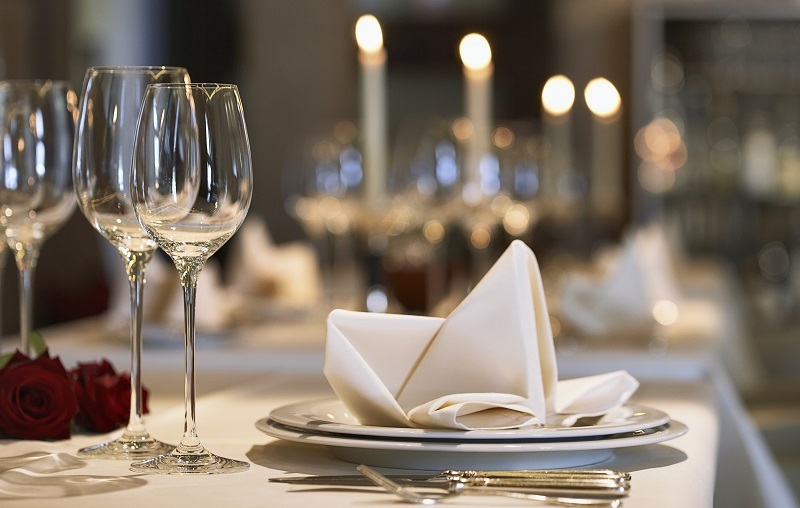 Even if your crowd is small, you still want guests to enjoy the occasion with luxurious amenities and good food. What should you do when organizing an intimate gathering? Visit Our Facilities – Online research is great, but you should still plan to visit the facility in person. This will give you the best opportunity to see what’s available and experience the atmosphere before you book your event. This is also a great opportunity to think about seating arrangements and party décor. Learn About Services and Amenities – Each venue will offer a list of services and amenities. Find out what Club Venetian has to offer before you spend time looking elsewhere. It’s much easier to have the venue provide everything you need rather than hiring third-party vendors. Let Us Know What You Need – Write out a list of what you need for your event. For example, do you need a certain number of tables? Will a projector be needed to play a video or slideshow? 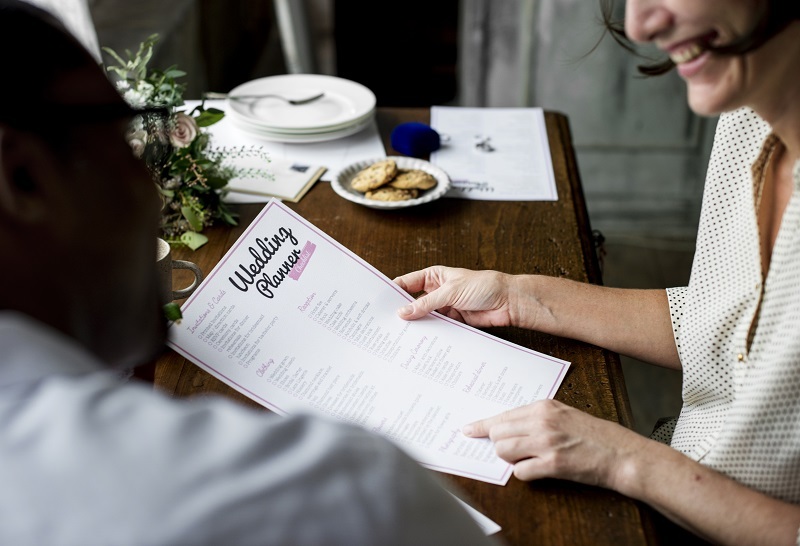 Having a list on hand will help us answer questions and ensure that you get everything you need on the day of your party. Book Your Event Early – Always book your event as early as possible. The longer you wait, the harder it may be to get the date you want. This is especially important around major holidays and wedding season. Stay in Touch – Stay in touch with us after you book your event. Let the venue know about any changes as soon as you are aware of them. If you have questions or are interested in touring our venue, give Club Venetian a call. Our staff is available to help you put together a perfect party for your occasion. We love being a part of your love and celebrating joyous occasions with you and your guests. 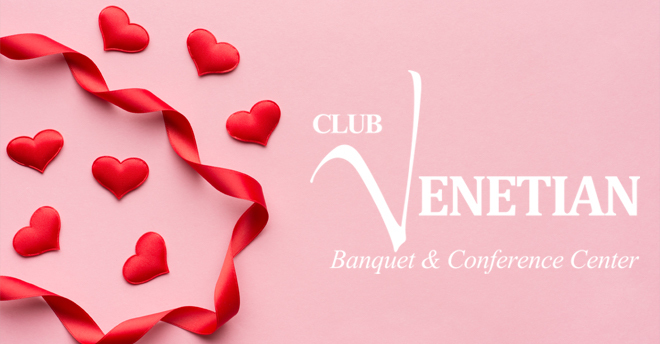 Contact Club Venetian to schedule a tour of our banquet center for your next occasion. Many brides and grooms ask: “How much does a wedding cost?” That’s not an easy question to answer. The average wedding in the United States in 2017 cost $25,764. The average spending per event was between $19,323 and $32,205. However, around half of all couples spent under $15,000 for their big day celebration. So how much will your wedding cost? It’s important to remember that each wedding is just as unique as the people who plan it. There is no financial requirement for getting married. Before you begin planning, consider your financial situation and how much you can afford to spend. Do you have enough to plan the whole thing right now while covering all expenses? Can you wait longer and save up the amount needed to pay for everything you want? Your budget will help you determine which vendors or items are a priority and which can be trimmed or limited. There are several ways you can keep costs down and put on a spectacular event. Consider the following to save money that could help balance your wedding budget or go towards your honeymoon. Ask Friends and Family to Help – Enlist the help of friends and family to take care of certain aspects of the event. For example, see if anyone will help make decorations, bartend, or assist with setup. These services usually cost extra. Choose a Budget-Friendly Venue – Certain venues and locations are in-demand and will come with a higher price tag. Find a venue that offers a balance of cost and amenities. Invite the People Who Really Matter – Start by inviting only the people who really matter – close friends and family. Then, if you have spending room, start inviting other people like neighbors, coworkers, and acquaintances. Consider Booking During Off-Peak Times – Consider booking your event during off-peak times. For example, summer is a popular season for weddings in many areas. This can cause the cost of services and rentals to go up. Also, consider booking on a day other than Saturday. 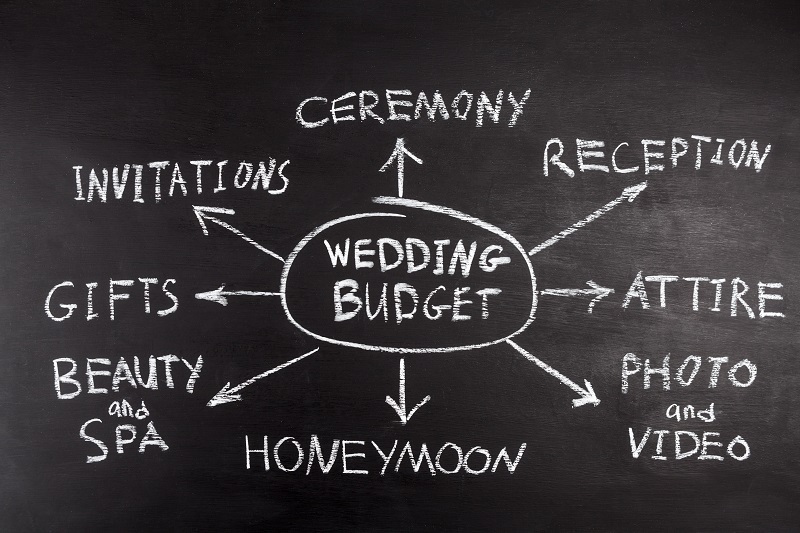 Planning an amazing wedding without overspending is possible. Contact Club Venetian today to tour our facility and find out how much your wedding will cost at our beautiful venue. Planning a wedding can be very stressful. That’s why every bride and groom should learn a little more about the process before they get started. The following tips will help you plan the perfect celebration. It’s very difficult to book a venue unless you know how many people you will need it to accommodate. Put your guest list together first, so you have a good estimate. It also helps to create tiers of guests so you know who you must invite and who could be trimmed if needed. Vendors want your booking. That means they will be more accommodating before you sign a contract. This is a good time to present any special requests. For example, if you want to extend cocktail hour, ask before you book. Vendors may be less willing to honor requests once you have committed. Your wedding spending shouldn’t include every penny in your budget. Finances can be a huge source of stress when planning an event. Leave breathing room just in case of surprises. Try to leave at least an additional 5% to 10% in case of problems. Yes, you have to plan out your wedding planning. This will help you stay on track and ensure everything is scheduled in the order it needs to be. The more organized you are, the smoother the process will be. Each state may have different requirements for marriage licenses. Get the information for your area now so you know when you should apply for your license. It’s not the most glamorous part of planning a wedding, but it is essential. 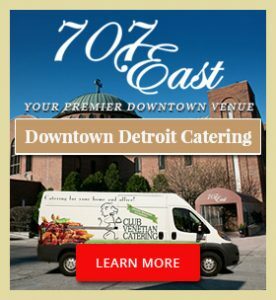 Venues that offer catering and other services are a great way to make the process easier. 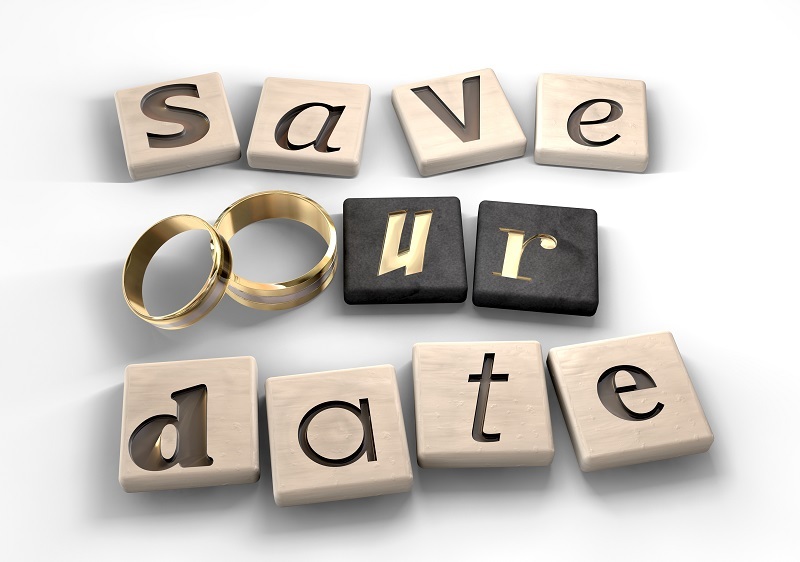 Contact Club Venetian today to learn more about planning a wedding that everyone will talk about for years to come!